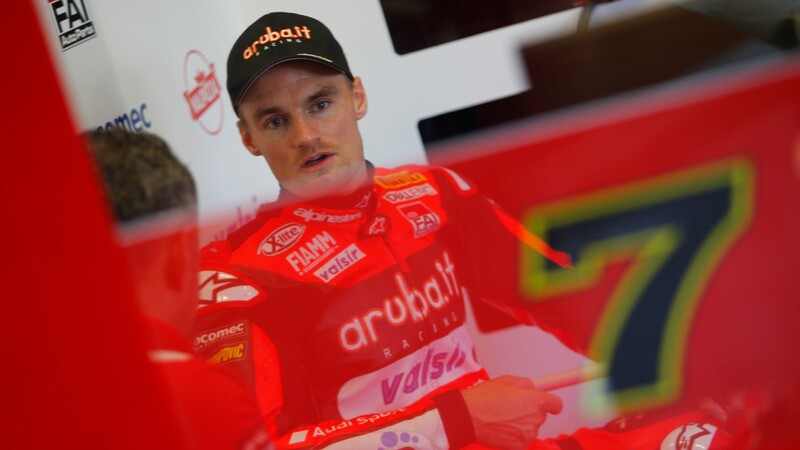 Getting prepared for the upcoming season, and the big challenge with the all new Ducati Paniagle V4 R, Chaz Davies (Aruba.it Racing – Ducati) underwent surgery in Barcelona this week on his right collarbone which he fractured in training over the summer. Training at the start of the summer break on a mountain bike, he fractured his collarbone and was able to heal throughout the break. But he suffered more injuries at the end of the summer break, crashing a Supermotard at MotorLand Aragon just weeks before the WorldSBK return around Portimao in September. Undergoing surgery throughout the season he has now had a successful operation with enough time to heal before the 2019 challenge begins at Phillip Island Grand Prix Circuit in February. Follow all of Davies’ 2019 progress, all with the WorldSBK VideoPass.